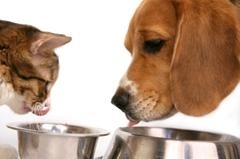 Nutrition counseling services offers assistance identifying foods appropriate for your cat or dog at any life stage. Clients are taught what to look for on a pet food label in order to make informed dietary choices. Assistance can be offered in finding foods and supplements that may be particularly helpful during various disease states or foods/ingredients that should be avoided.